“Oops, sorry!” Isn’t that the first thing that comes out of your mouth when you have a minor collision with someone in a shop doorway? It’s no-one’s fault, least of all yours. Or maybe you apologize to the dog when she gets in the way at feeding time? 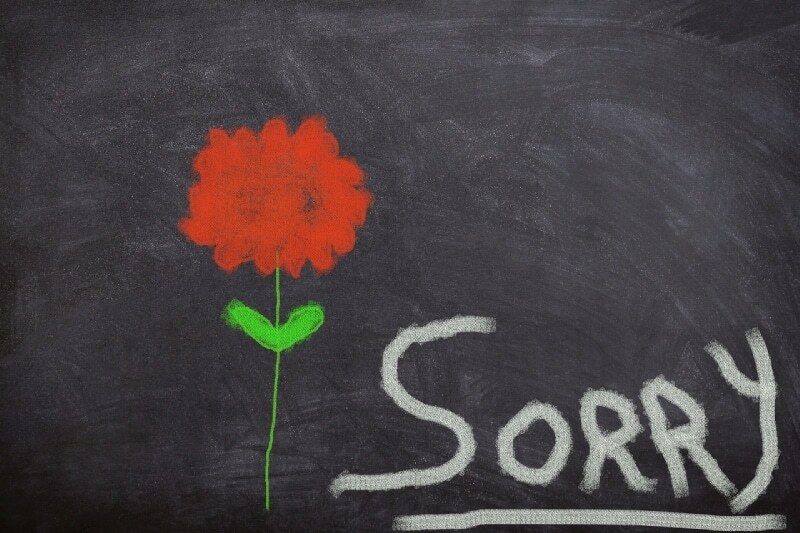 Are you one of life’s habitual apologizers? Do you know how sapping that is to your spirit, energy, and self-esteem? It’s as though you are saying sorry for existing, for taking up space on the planet. It’s time to do something about it and learn how to stop apologizing. Without actually changing anything, note when “Sorry!” seems to pop out of your mouth. Or seems to be an almost instinctive reaction, even if you stop yourself from saying it. Ask yourself, was it really your fault? Was it anyone’s fault? Do you automatically apologize when returning a faulty item, or when complaining about undercooked chicken in a restaurant? Realize that so often you are saying sorry for someone else’s mistake. It’s not your fault that the delivery guys scratched your new kitchen appliance, so don’t apologize for asking for a replacement. We think it’s because we want to appear agreeable. To show we’re a nice, non-aggressive person. We’re not pushy, or offensive, or trying to undermine the other person. In reality, over-apologizing is a symptom of low self-esteem, of feelings of worthlessness, or childhood conditioning. Were you told to be quiet as a child? That your opinion wasn’t asked for or needed? That you were just a kid and therefore didn’t have any say in anything. This can mean, as an adult, that you never fit in anywhere, that you are a blot on the landscape, that your very existence is somehow wrong. How can you love and respect yourself if you think you don’t deserve your place? Sometimes it’s related to ‘imposter syndrome’ where you feel as though you are a fraud. For example, when you are on your way to a new job, wearing your new suit, and you really don’t believe you are ready for this. It’s like you cheated your way in. That can spread out to other areas of life. For example, you apologize for being late to a meeting when, in fact, you are a minute early. Or you say sorry for not completing an assigned task because you are waiting on information from someone else. Okay, that’s sort of made up, but maybe you were a confident child/teen/young adult, and it wasn’t until you met ‘him’ that the apologies started coming. He fell in love with the confident, sassy you, so what has changed? If saying sorry is your way of heading off disagreements, or keeping the peace, it might be time to step back and take a hard look at the relationship. Why have you had to take on the role of peace-keeper? What has made you become so submissive you have to apologize for everything? Who has really changed in the relationship? Or your manager at work seems to have impossibly high expectations and you find yourself constantly having to apologize for your non-existent shortcomings. 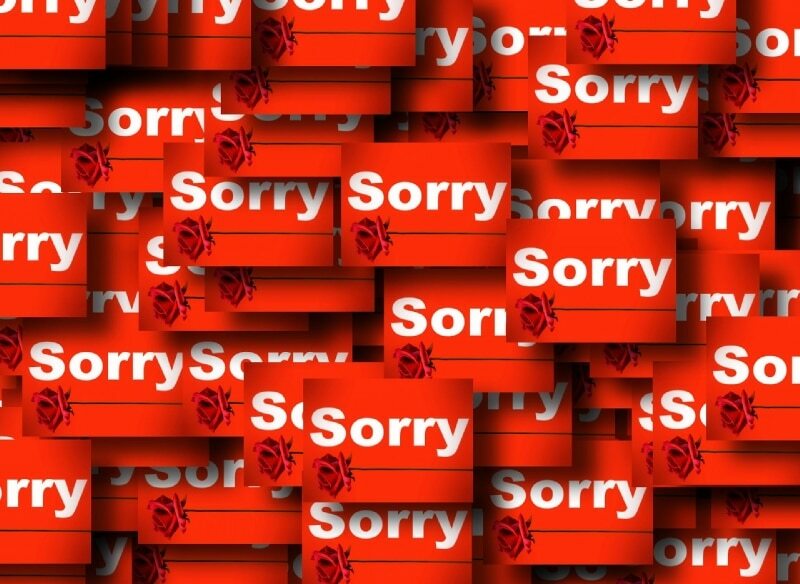 You need to know that constantly saying sorry does not make you a better person. In fact, it has the opposite effect. You are undermining your own credibility every single time. Promotion? Forget it. You are not assertive enough. However, know that their hyper-critical behavior reflects their lack of confidence; don’t let it impinge on yours, so stop apologizing for their lack of managerial skills. Most often seen in teens, “Oh sorreeee…” So obviously not meant as an apology. Don’t do this, even with your kids and partner. It’s horrible. Passive-aggressive and unnecessary. Sometimes we do this in order to assert our superiority. Sometimes our kids will do it when forced to make an apology to a sibling. If there’s no feeling of compassion or regret then there’s no point in making a false apology. “I’m sorry you took offense.” That’s not an apology at all. In fact it’s blame-shifting. The other person is at fault for being upset by your words or actions. Give it a second… think. Is this really your fault? If it is, then, of course, say sorry. If it’s no-one’s fault then don’t apologize. If it’s someone else’s fault, just smile. You don’t have to fill the silence with an apology. If you have made a genuine mistake, and we all do, apologize sincerely. Take the blame. Then immediately offer to put it right. Have a course of action planned out in advance. As you rid yourself of the automatic “I’m so sorry” syndrome, you will discover a new assertive, confident, worthy self. You’ll hold your head up and fill the space where you belong. You will become the real you.